MIND if we discuss cling wrap today? I only ask because I’m fed up with the popular brands that most supermarkets sell. 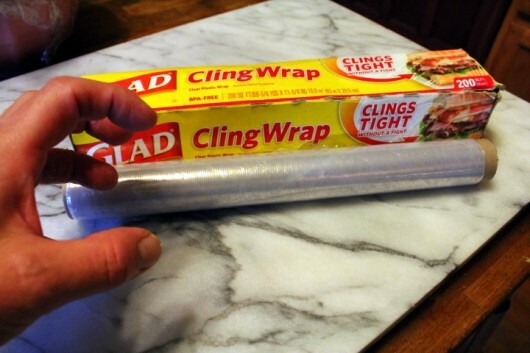 Over the years I’ve spent countless dollars on Glad Cling Wrap. Such a waste! It mostly sticks to itself. The flimsy “cutting blade” on the box is woefully inadequate for clean tearing. Furthermore, the sticky button on the side of the box does a very poor job of holding the film in place. Nine times out of ten you end up with a roll of plastic, and no starting point from which to pull. I’ve also spent wasted countless dollars on Saran Wrap. In my experience, it behaves as miserably as the Glad version. So what’s a cook to do? I finally broke down and visited Ginsberg’s — a restaurant supply store in Hudson, New York. Ginsberg’s sells the kinds of merchandise that caterers and restaurants use. For instance, they sell commercial quality cling film! This commercial wrap is a joy to use. It comes in a big box that sits securely on the counter. It has a very sharp, sturdy, no-fail cutting blade. It’s width — 18 inches — is ample enough for even my largest mixing bowls and baking dishes. 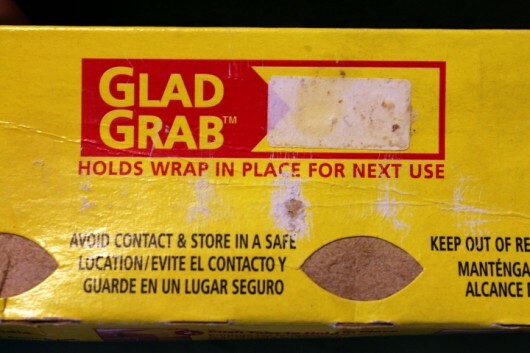 Saran and Glad wraps are less than 12 inches wide. And shall we do a little price comparison? A 200-foot-long roll of the typical supermarket wrap costs about $5.00 a box. The commercial version cost me $13.00. But that’s for two thousand feet! For the average cook, that’s probably enough cling film to last a lifetime. Purity Food Film does exactly what it’s supposed to do. In other words, it adheres tightly to glass, aluminum, stainless steel, and ceramic. Folks, this is not a paid advertisement for Purity. I simply wanted to let you know that if, like me, you are fed up with inferior cling wraps, a superior alternative is available to you. Just visit your local restaurant supply store, and purchase a box of commercial-grade film. To find a store near you, just Google “restaurant supply” and the name of your town. I hope my take-down of Saran and Glad didn’t upset you too much. For all I know, you might serve on the board of one of these companies. I’ve been doing the same thing for years Kevin, guess I should have given you a heads up! I mark the end of the box with the date I start using it – the current box has been in use since July 10, 2010. My box fits on an open shelf in my island, opposite the sink, and is very handy. I haven’t checked the price at Sam’s Club recently, but I believe that I paid $9 and something for it more than 4 years ago – money well spent! I myself have a story about that wrap I also bought from Costco 10yeats ago and I am still using it, Sits on my kitchen counter……I love it! I volunteer at the Whole Foods cooking school in Nashville and after using their commercial wrap, I agree with you 100%! As soon as my cheap wrap is gone, I’ll be getting the commercial grade too. 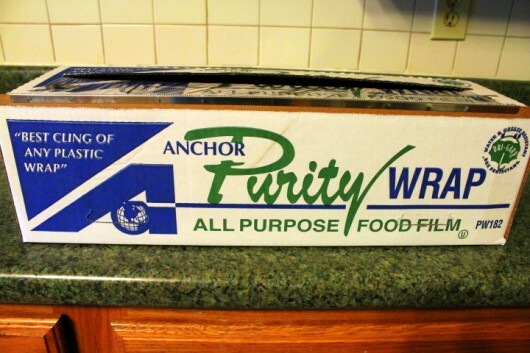 I agree with you on both Glad & Saran wrap and will definitely look for Purity! Thanks for the tip. You guy have you not ever used Glad press seal? It’s the berries. Sorry I meant guys and it’s press n seal. I have been using commercial wrap for 15 years and agree with Kevin… it is the best. Last month my siblings and I moved our mother to a retirement center. One thing in her pantry was the remains (lots left!) of a roll of commercial wrap that my brother had brought home (when the pizza place where he worked closed) over 35 years ago! We used some of it to shrink wrap art pieces for the move. Wow, I didn’t know there were so many styles. Unfortunately the commercial wrap is much more toxic than the consumers wrap. Strech-Tite, available at Costco and Stop n Shop, is also terrific. It has nifty a slider-cutting thing designed so that the insanely sharp blade isn’t exposed. Costco sells 750-yd rolls, Stop n Shop, 250 yds. It’s a truly great product. It’s 12 inches wide, so if counter space is an issue, you can fit the sturdy box in a kitchen drawer. I buy mine at Costco as well, and will never buy that other stuff again. However I use it sparingly and try to store things in glass Lock’n’Locks with clip on lids. Thanks for the insightful tip!!! I always wrestle with the stuff anD it was great to hear you’ve done all the homework for us!! Thanks again!!! Kevin, I could just give you a great big freakin’ hug! This is the stuff, baby! This is why I love you and your blog. Your tips, your recipes, love, love, love them. BTW, your Tomato Pie is the most requested recipe I have for any get-together. You Are Awesome! 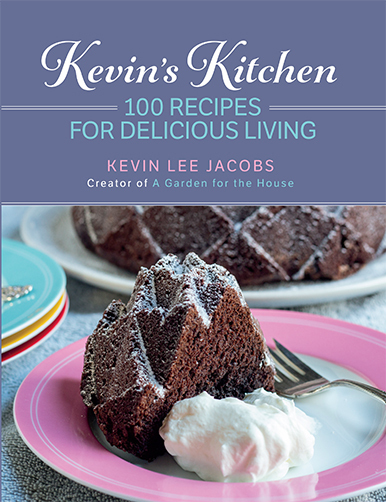 Bravo Kevin!..I thought it was just me.. struggling to get it to stick to anything besides itself. I had just given up and thrown a clean towel over anything I had to transport. My first roll of commercial cling wrap took almost 20 years to go through. I use the commercial wrap from Costco also and think it is great. Here is another hint that you all might want to pick up when you next go to a restaurant supply store; urn type coffee filters. Our local Costco changed over to an all business store and doesn’t carry many of the smaller items that are available in their regular warehouses outlets. We had read that coffee filters were excellent to clean windshields on your car, windows and mirrors. We went to the Costco business store to see if we could buy a large box of coffee filters, expecting them to be the small size that we use in our kitchen coffee pot. They took us to the aisle where the filters were located and all they had were the huge urn size. The box has about 500 and was around $12 and the filters are much bigger than your hand and work great for windows, mirrors and windshields because they do not have lint. Check it out. Costco has a slider that cuts the plastic at any length an runs so easily you can operate it with the lightest touch and the box lasts forever even with 8 people using it to wrap everything from ice packs on legs to food. It sticks really well too. Love, this blog. It is so informative from gaden to kitchen. Thank you for your many suggestions. Great info Kevin thx. I too take the toxicity of products into consideration before using on food products. I shall check Purity out. EWG, Environmental Working Group does a lot of testing on various products like cosmetics, sunscreens etc and also puts out the Dirty Dozen app that tells you which produce is the most pesticide sprayed and what produce is ok to buy non organic, called the Clean 15. Great topic Kevin ~ I will give this a try! I ditto the comments about Costco’s Stretch-Tite..great stuff and the cutting device on the top Is SO easy to use..I’ll NEVER go back to the commercial brands. 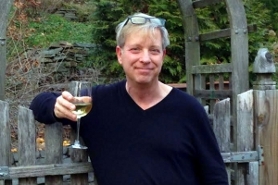 Thanks Kevin for your always informative and entertaining blog. You’re the best. My folks had a restaurant, and the commercial wrap IS so much better! I hated buying Glad for home use. It’s horrible. Saran is even worse. I never had the room for a commercial roll, but it is well worth it! Thank you, Kevin. I have fought with cling wrap all of my cooking life…hopping from brand to brand. I will star a search for thE one you recommend. We’ve been disgusted with supermarket cling film for AGES !! This is valuable information, Kevin!! Thank you Kevin. I too have uttered words when using the grocery store brands. You forgot to metion that commercial grade plastic wrap is used to bake in the oven…wrapped wrapped around the lasagna pan… Or filled w ground sausage rolled, twisted tightly closed and then dropped into Simmering water… To poach casingless sausages … And more. DO not bake with Saran Wrap or grocery store wrap!!! I’m wondering if the commercial wrap would be thicker and therefore have more chemicals in it. I NEVER cover any food to be microwaved with it. It drips the chemicals into the food. I use Corningware lids for that. So wouldn’t the commercial grade have the same chemicals? Thanks to everyone for all this information. Especially thanks to you, Kevin for getting this out there. Better yet, just stay away from soft plastics altogether! Glad Press n Seal worked great for me, too, but the last time I bought it, the “cutting” strip was plastic and was absolutely useless. Now I have to cut it with scissors. 🙁 Restaurant supply, here I come! Cling wrap is such a frustration. If you don’t want to buy such a huge roll and you have a storage problem like I do. I have a special place in a kitchen drawer that the box fits exactly. I found that the Great Value brand at Walmart is excellent, it says professional grade on the box and it is so much better than the other brand names. It used to be Sam’s Brand on the box when I first found it at Walmart. I do believe it is the kind in the professional roll as it sticks well, is heavy and is microwavable. So give it a try if you have a storage problem. Wow! I went right to the internet to try to find it. I did – except it was over $32 on Amazon. I do have a local Costco but their membership fee went up to $65/year so I stopped going there. Sometimes it is a trial living in Vermont/the Northeast! Reynold’s used to make a plastic wrap that was easier to use that Saran or Glad but unfortunately I can’t get it anymore. And they even made it in different colors. To keep the rolls from pulling out of the box (this goes for foil and wax paper as well) push in the tabs in the sides of the box. Thank You for sharing!!! Your ideas are so valuable to make our lives easier. I bought a box of Costco wrap and it smells….has a terrible odor…have you ever experienced this??? I’ve been using commercial wrap (otherwise known as film) for over 30 years! It’s better and cheaper than what you can get at the grocery store! For those without a Costco, try talking to a friend who has a restaurant or works with food at a nursing home, etc. They may be able to get it for you. My husband and I owned a restaurant many years ago, and ordered ours through Sysco. I have had a friend who managed a nursing home order it for me, also. I have a box I have been using for probably 10-12 years or more. i don’t use it all the time, but it is the only plastic I use. I have used commercial plastic wrap for several years to wrap meats such as chicken breasts or hamburger or any other fish or meat purchased in large quantity and divided in smaller packages to fit our needs. I wrap in multiple layers tightly and sometimes use a paper sandwich wrap around the meat as well. 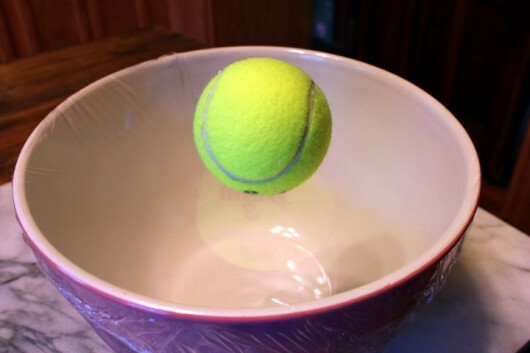 I use this method instead of vacuum sealing for a much more economical way to preserve freshness. My experience is that it works better than vacuum sealing. We do use our meats within 6-12 months. Hi Kevin…got a 2000 foot roll the other day at a restaurant supply store in Albany. It works great but I find it an eyesore on the counter..(can’t seem to find a convenient hiding place for it) I am going to make a “cozy” for it. Thanks for the ideas! The papers from the grocery store are useless. I recently bought 250 ft pf Freeze-Tite and it’s great. A bit more expensive but hey I’m worth it and so is my kitchen! Well, I don’t know where to buy it, and at Amazon it’s $37.58 !!! Does somebody have and idea where can I go? AND if you can find the right brand and since I can’t find the box we were using in our commercial kitchen, I can’t tell you which one but there is a brand that instead of just a simple serrated edge, it has one of those sliding zip cutters like a new style paper cutter which makes tearing off an 18 inch wide strip a breeze. It works 1000 times better than the serrated edge. The supplier will find it for you just to gain another customer. I love to bake and I will have to agree that commercial cling wrap is superior and yes, it does nearly last forever. The price and quality is much better than the store grade stuff. I bought four 2000 ft rolls From a commercial warehouse when I was stationed in Hawaii back in 1998 . In Hawaii, many items are shipped over and cost much more than here on the main land . Once I saw the price I could not pass up that bargain ( in 1998 in Hawaii it was 9 bucks and some change per roll). Fast forward t0 2016, I am just NOW using the last roll and I have over 95 percent of a roll left. It will probably last me another few years. I also bought four rolls of aluminum foil from the commercial restaurant warehouse there for a great price. On my last roll of foil as well. I should probably look in my local warehouse and check if it sells parchment paper, as I still won’t need foil or cling wrap for sometime, yet. How big is the box? I fear it won’t fit in a NYC kitchen. Hi Louise – The box is approx. 6x6x20 inches. And just for the record…four years after writing this post, I’m STILL using the same box of cling film! Now that’s a bargain. Thanks. I forgot I bought a better one some time ago as I went to measure space on my microwave/convection oven. I realize I am trying to use up a saran wrap box, before using a better wrap bought from King Arthur Flour, which measures 14″x 2 3/4″x 3″, which fits my drawer. I have a roll of foodservice film that outlasted my first marriage! Glad I got to keep it.